This was not the first time an ISP blocked Vonage from their customers. Even though customers pay ISPs for internet access, ISP’s felt no obligation to honor the fundamental rules on which the internet was created, and selectively block data they didn’t approve of. Vonage filed a complaint to the Federal Communications Commission (FCC), which subsequently ruled in favor of Vonage. This was just the beginning of a long legal battle between internet service providers and innovative internet service companies. Let’s rewind to the beginning to better understand the historical fundamentals of the internet’s lifecycle. In short, the internet was introduced in the late 1960’s, from the creation of Advanced Research Projects Agency Network (ARPANET), which was spearheaded by the US Department of Defense. ARPANET was composed of technological contributions from several countries, which was essentially used packet switching to allow multiple computers to communicate on a single network. Fast forward, to the late 1980s when commercial ISPs began to emerge. Americans fell in love with the Internet and all of the incredible new resources that were available: America Online, CompuServe, chat rooms, Prodigy… then segmenting into the World Wide Web. It was such an exciting time, and the world was overwhelmed with the infinite amounts of accessible information. Recognizing the importance of the Internet and it’s future, in the early 90’s Congress passed and Bill Clinton signed into law, the Telecommunications Act of 1996. This was the first major legal overhaul to the nation's communications laws in over 60 years, and consisted of a multitude of changes. According to the FCC, the goal of the law was to "let anyone enter any communications business -- to let any communications business compete in any market against any other." Shortly thereafter, the Clinton administration launched a National Infrastructure Initiative (NII) which included billions of dollars in tax subsidies for telecoms and cable providers. In order to avoid the infrastructure issues that plagued 3rd world countries, the ACT required telecommunication last mile owners to lease their lines to competitors. The Internet building boom soon followed, in large thanks to the American taxpayer. Everyday Americans were soon introduced to services and information providers under the ‘open’ competitive framework. Competition was fierce and early internet companies were leap-frogged by innovative new startups. Consumers and the marketplace picked the winners and losers. Meanwhile, the FCC kept a simple goal in mind: keep the playing field balanced. However, incumbent telecoms and cable companies wanted to compete too. Rather than maintain the spirit of Congress, the FCC and the American people, incumbents decided it was their competitive advantage to use their tax subsidized last mile networks. They quietly lobbied to strengthen their monopolies in local and state governments, in addition to restricting, blocking or demanding payments from companies, even though the customers were already paying for access. The last 3 administrations honored the competitive spirit of the original laws and policies and immediately ceased the practice: hence moving forward Net Neutrality. Today, the current administration and Republican majority of the FCC is poised to repeal Net Neutrality and provide incumbents with what essentially would be the role of Internet gatekeeper. Want to read news from an organization you trust? Want to use a search engine you prefer? Want to educate yourself on a particular subject? Not unless your ISP allows you to. If you’re an innovative small startup with the dream for the next wave in computing? You may never see it unless the gatekeepers allow you access. This is especially disturbing for any future internet company and a great loss for all Americans. Take the example of Vonage, referenced at the beginning of this article. Voice over IP and next generation communication providers, who provide competitive services to the incumbents, can be blocked from the marketplace or forced to pay for ‘special access’. Incumbents can engage in behavior without any accountability in order to avoid customer backlash. For instance, they could “degrade” quality of VoIP traffic to networks they do not recognize, leaving the customer to wonder if it’s their ISP or the VoIP carrier. Vinix experienced this in the past where an incumbent would degrade the traffic quality to our VoIP network, then send its sales representatives to ask customers in that area how their voice services were going, and how theirs is better because they control the network. If there is no access for the next wave of innovators to bring their ideas to the world, they will simply remain stifled inside their dreams, and customers will never learn of them. Imagine if your government gave the roads to giant corporations, who then told Apple in 1977 that they could not receive their printed boards for the Apple 1, because it competed with IBM who was paying them handsomely? Image if Comcast would have had succeeded in blocking Netflix and destroying their business. In closing, you can thank the pre-2017 FCC for protecting the Net Neutrality fundamentals for everyone. After Net Neutrality is repealed, customers may lose access to the next innovations in communications services due to the lack of competitiveness that incentivizes companies in the first place: competition. 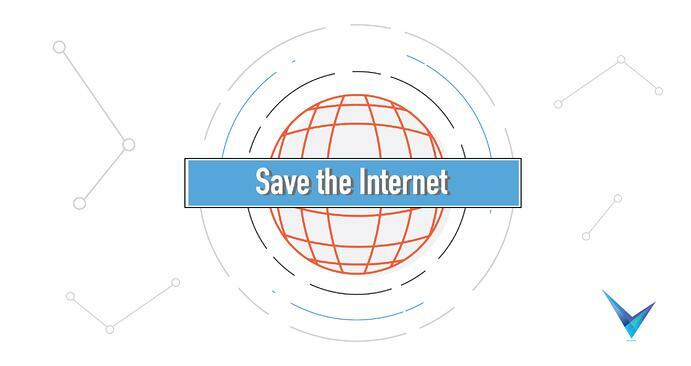 There’s still time (December 14th) to fight for your internet rights, join the battle for the internet here. Older Post What is the Telecom Infra Project and How Is it Changing Business Communications?